Well, they are at it again. Some citizens of Northfield, Minnesota, spurred on by Krin Finger, are conspiring with their mayor and other city officials to stop protected speech by seeking a way to circumvent the law, namely, the First Amendment. Their efforts are reported in the Northfield News on April 6, 2016 in Northfield organizations renew effort to address issues with Bridge Square preachers. This author offered the Northfield News an article presenting the other side of the issue. See En2 for the online version of that offer which may have to be edited to 500 words or less for publication (leaving out links). A shorter version was prepared and submitted. See En1 for that submission. Northfield News contacted the author about the article and stated that the newspaper would print it Wednesday, April 13, 2016. The article was posted online by the Northfield News on April 12, 2016. Click here to go directly to the online article: Northfield Citizens seek to circumvent First Amendment. Another member of Old Paths Baptist Church will present the Northfield News with another article for publication. See En3. The street preachers go to Bridge Square and preach an average of about two hours about once a month at most. Those citizens who would stamp out the First Amendment had they the power to do so are not concerned about loss of business (their own activities against the street preachers are the only thing than could possibly hurt their business), logical discussion, law (except how to circumvent it), history (how America got the First Amendment and why), safety concerns, or anything else but their hatred for what the street preachers are preaching. OPBC does not want to take the city, the mayor and other city officials, other citizens of Northfield, and other conspirators or wrongdoers to court over this matter. As always, they wish to exercise their First Amendment rights in preaching the gospel and carry on their other ministries in peace without taking tremendous time and effort required to go through a legal process; especially since these matters are well settled in the law. They have no desire to cost the opposing parties, including the taxpayers of Northfield, a lot of money on lawsuits. 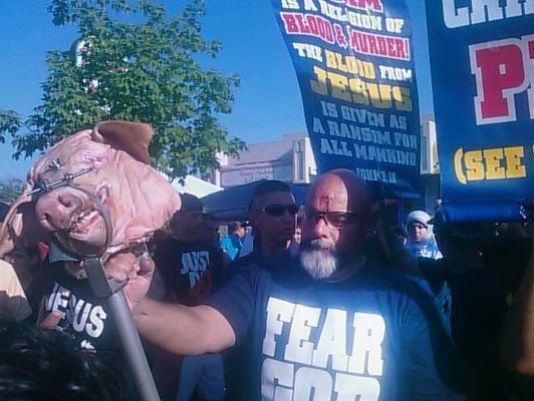 On October 28, 2015, the U.S. Sixth Circuit restated and strengthened First Amendment protection of speech in the public forum in a case where “Bible Believers” involved in street preaching to Muslims displayed a pigs head. “Bible Believers” sued WAYNE COUNTY, MICHIGAN; BENNY N. NAPOLEON, in his official capacity as Sheriff, Wayne County Sheriff’s Office; DENNIS RICHARDSON, individually and in his official capacity as Deputy Chief, Wayne County Sheriff’s Office; and MIKE JAAFAR, individually and in his official capacity as Deputy Chief, Wayne County Sheriff’s Office. The Sixth Circuit stressed that the First Amendment “envelops all manner of speech, even when that speech is loathsome in its intolerance, designed to cause offense, and, as a result of such offense, arouses violent retaliation.” Attorney Robert Muise of the American Freedom Law Center, who argued the case on behalf of the Bible Believers, applauded the decision, saying it was “solidly on the side of free speech.” “If this went the other way, it would incentivize violence as a legitimate response to free speech, and that is wrong in our country,” Muise said. “Any freedom-loving American enjoys protections of the First Amendment.”The Sixth Circuit said, “(The ruling) affirms the rule of law that when a violent mob is responding violently to protected speech, the police’s duty is to protect the speaker and not join that mob that is intent in suppressing the speech,” Muise said. “Today, the First Amendment was the victor.” Click here to go directly to the opinion. Article: Anti-Muslim Slurs Get Legal Protection (102915). The case now goes back to a federal judge in Detroit, who will decide what damages the Bible Believers are entitled to. The court stated: “Ultimately, we find that Defendants violated the Bible Believers’ First Amendment rights because there can be no legitimate dispute based on this record that the WCSO effectuated a heckler’s veto by cutting off the Bible Believers’ protected speech in response to a hostile crowd’s reaction.” (p. 15 of the opinion). I suggest that one read and study the above opinion which covers all aspects of the legal debate. The counsel for “Bible Believers” letter, prior assaults against “Bible Believers” by Moslems at the same yearly festival, the facts of the case including assaults against “Bible Believers” and the actions of the police, the law, etc. are carefully recited in the opinion. The following submission was posted online by the Northfield News on April 12, 2016. Click here to go directly to the online article: Northfield Citizens seek to circumvent First Amendment. As reflected in the article “Northfield organizations renew effort to address issues with Bridge Square preachers,” some citizens of Northfield are trying to circumvent the First Amendment protections of fellow citizens. Certain biased Northfield citizens hate street preaching and will do anything they can to try to shut it down. The only speech they wish to prevent is that of the street preachers. See “Protesters question Northfield’s permit process” Northfield News, August 8, 2014. The offending citizens are attacking law-abiding citizens who understand, practice, and support speech protected by the First Amendment. Several of the preachers – including this author who just recently moved to the area, opened a Northfield bank account, and has spent several thousand dollars there – are from Northfield and the surrounding area. They own homes, buy food, clothing, gas and other things in Northfield, do business, work, vote, go to church, and pay taxes there. This author has free online resources which explain that Bible teaching, history, and law support their public speech. See opbcbibletrust.wordpress.com. Yet, the only concern of those opposing their position is to try to find a way to legally or illegally circumvent the Bible, the lessons of history, and the law. The instigating citizens present a false story concerning an illegal permit reserving Bridge Square in 2014. The street preachers preached in Bridge Square the first Saturday the permit went into effect. The permit was not enforced then or later and no one ever approached to tell the preachers to leave. The street preachers seek to comply with both the laws of God and man. God instructs them to love their neighbor as themselves. See Matthew 5.38-48; 22.39 for a couple of many of the guidelines which forbid them to physically assault or harm anyone. The actions of Jesus’ followers in the Bible make clear that God’s children are to publicly proclaim truth as do instructions found in, for example, Mark 16:15, Luke 24:46-47, and Acts 1:8. They also know and obey man’s law. Peace officers would already have arrested any street preacher(s) who violated the proscriptions of the First Amendment. In spite of American law which clearly protects the activities of the street preachers, some citizens are pressuring the police and the city officials including the mayor to stop the street preaching. They make false allegations which can only be tested by honest investigation. Except for one isolated incident, the police in Northfield have been totally professional in performing their duty concerning the street preachers. The citizens should be thankful to their police officers for complying with the law, thereby protecting city money (as well as the money of any city officials and citizens who could be implicated) from the ravages of a potential civil rights lawsuit. The real problem is not the street preachers, but those who oppose their legally protected public speech. The correct solution: learn, apply, and teach others unrevised history, law, and Scripture. Everyone will profit from such an approach. As reflected in the Northfield News article “Northfield organizations renew effort to address issues with Bridge Square preachers,” some citizens of Northfield are trying to circumvent the First Amendment protections of other citizens. The guilty parties are biased Northfield citizens who do not understand American law of speech in the public forum, hate street preaching, and will do anything they can get away with to prevent speech they dislike. These citizens have before made clear that the only speech they wish to prevent is that of the street preachers. See “Protesters question Northfield’s permit process” (http://www.southernminn.com/northfield_news/news/article_913bc7ad-25a2-52cc-a02b-9ce15935df23.html) Northfield News, August 8, 2014. The offending citizens are attacking law-abiding citizens (street preachers) who understand, practice, and support freedom of speech in the public forum. Several of the preachers are from Northfield. They own homes, buy food, clothing, gas and other things in Northfield, do business, work, vote, go to church, and pay taxes there. Some others live in Rice County. Although this author and street preacher recently left Texas and moved into a home in Faribault, he has already opened a bank account in Northfield and spent several thousand dollars there. This author has offered free online resources which explain relevant Bible principles, history, and law concerning speech in the public forum. The Northfield citizens against the street preachers have never mentioned the relevant Biblical, historic, or legal, facts and principles. They are concerned with none of those matters except the law. Their concern with the law is to try to find a way to legally or illegally circumvent it. They also know and obey man’s law. Peace officers would already have arrested any and all street preachers who went beyond the bounds of the proscriptions of the First Amendment, man’s highest law regarding religion, press, assembly, and speech in America. The law concerning street preaching is explained in Street Preaching in America: Is it Legal? (https://opbcbibletrust.wordpress.com/gods-plan-of-salvation/b-messages-from-pastor/street-preaching/tract-street-preaching-in-america-is-it-legal/). In spite of the law, some citizens are pressuring the police and the city officials including the mayor to stop the street preaching. They make false allegations which can only be tested by honest investigation. Except for one isolated incident, the police in Northfield have been totally professional in performing their duty concerning the street preachers. They obviously have a higher sense of justice than do those citizens supported by the article being analyzed. The citizens should be thankful to their police officers for complying with the law, thereby protecting city money (as well as the money of any city officials and citizens who could be implicated) from the ravages of a potential civil rights lawsuit. The real problem is not the street preachers, but those who oppose their legally protected public speech. The correct solution: learn history, law, and for those who are religious, relevant Bible teachings on relevant matters. Then, teach others the truth. Everyone will profit from such an approach. I have been outside the Planned Parenthood at times and heard your ministry. I will admit that you scare me. Not by words because I couldn’t really understand what was being said. I was called names like Jezabel and I was just there to pray. What made it scary was the yelling. I was upset enough to look you up on Facebook. I was actually pleasantly surprised by what I heard there. What I thought was craziness was actually sanity. You are highly intelligent people and speak truth. Your knowledge of scripture and history and how to apply it is impressive. When I think back to what I experienced, I really wished it had been more like your on-line sermons. The yelling and name calling distracted from the message to the point that I quit going on Fridays when one of you were there. I now understand why you preach the way you do after watching your sermons but wonder if have you ever thought of a video message that you can hand out instead? I believe your message is important but I feel it may not be delivered the way people will listen to it. The delivery in the videos is way more impactful than the yelling. Hello friend, The man you are referring to has been disciplined out. He would always rail on sinners and on others and we do not agree with that and we voted him out of our church. He was there alone many times and he would say things that we did not agree with. While we preach bold we do not like railing on people. Yes we preach loud but we found him to be way out of line. I’m thinking thats who you are talking about possibly?? Opposing ideas cause conflict. It is no surprise that the preachers of Old Paths Baptist Church in Northfield are causing “no small stir.” Christ’s gospel is offensive. Freedom of speech is granted by the Constitution. Those opposing preaching are allowed to by the First Amendment. This is hypocrisy. 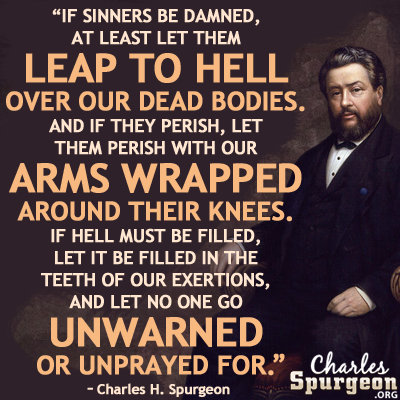 Despising preaching evidences the absence of salvation, “For the preaching of the cross is to them that perish foolishness; but unto us which are saved it is the power of God (1 Corinthians 1:18).” Those who experienced Biblical conversion love preaching, much like Paul saying, “So, as much as in me is, I am ready to preach the gospel to you that are at Rome also. For I am not ashamed of the gospel of Christ (Romans 1:15-16).” Some in Northfield are ashamed of the gospel. Christ was not ashamed to preach in public. We read in Mark 1:14, “Jesus came into Galilee, preaching the gospel of the kingdom of God, And saying, The time is fulfilled, and the kingdom of God is at hand: repent ye, and believe the gospel.” Was the Lord wrong?